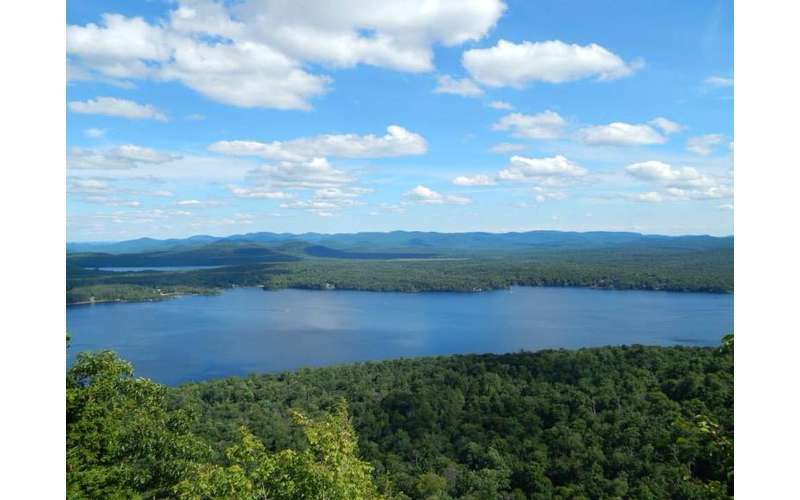 Located in Arietta, NY in the Southern Adirondacks, Piseco Lake is a popular fishing spot for landlocked salmon, lake trout, and many more fish species. Piseco Lake features 21.3 miles of shoreline and is a great location for both fishing and boating in Hamilton County. The beautiful lake has a mean depth of 25 feet and is 2,873 acres in size. Piseco Lake does not contain whitefish! I have never seen a single whitetail come out of piseco! This is a common misconception of mixing up Fallfish with whitefish. Also there is an abundant supply of rockbass and smallmouth bass. I have caught 16" smallies and 1.5-2 lb rockbass. I have also found dead brown bullheads and have caught many chain pickerel. Use small crankbaits in either white or silver colors because there are many smelt in piseco. Green or brown lures work well also because there are some green sunfish. (Bright colors attract the rockbass red,blue,yellow, ect) rockbass school under docks and near underwater drop offs, smallmouth are more attracted to fallen trees or rock beds, Fallfish (not whitefish!!!!!!) are always farther out and can only be caught on a boat in areas that are deeper, pickerel are similar to smallmouths but more illusive and will travel in open waters. (I haven't caught bullheads only found them :/) all in all there are a ton of fish!